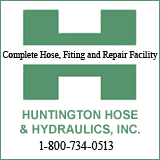 The Greater Huntington Park & Recreation District welcomes members of the community to attend the St. 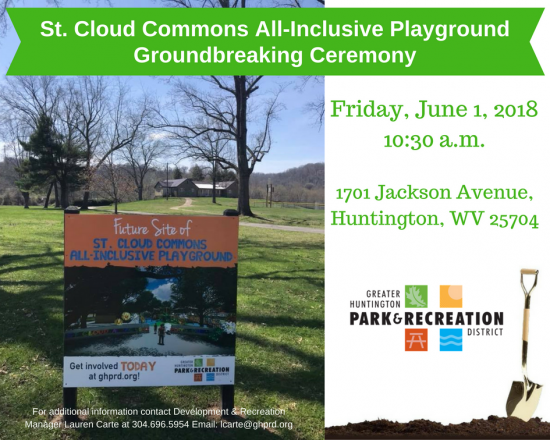 Cloud Commons All-Inclusive Playground Groundbreaking Ceremony on Friday, June 1, 2018 at 10:30 a.m. at St. Cloud Commons. After two years spent diligently fundraising, it is with great excitement that we begin construction on Phase One of this project. Phase One will include the majority of inclusive play equipment surrounded by poured in place rubber surfacing. Upon completion of Phase One people of all ages and all scopes of abilities will be able to play and see beyond the differences of others. Additional phases of this project are set to include a fully accessible restroom facility equipped with adult sized changing tables, a parking lot and pathway expansion and even more inclusive equipment. It’s not too late to get involved! We are still seeking local Play Champions to help fund the remainder of this project. To get involved visit ghprd.org or call 304.696.5954. Gametime, a PlayCore Company, and Cunningham Recreation are assisting the Greater Huntington Park & Recreation District in building this Playground.